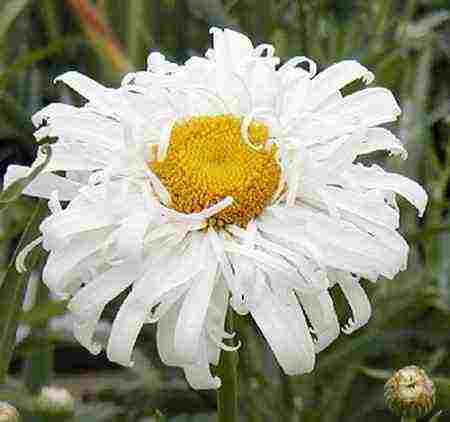 Chrysanthemum ‘Crazy Daisy’ is widely regarded as on of the best Chrysanthemums for the cut flower garden…lashings of white and cream flowers…much like myself it is a little rough around the edges. #BOOM! Flowers are numerous and the fantastic white frilly petals have egg yolk yellow centres. This is a no fuss easy care perennial and will be a great addition to your dedicated perennial bed in the cutting garden.